The North Woods is the largest of the Park's woodlands, offering people and wildlife a 40-acre forest retreat in the middle of New York City. 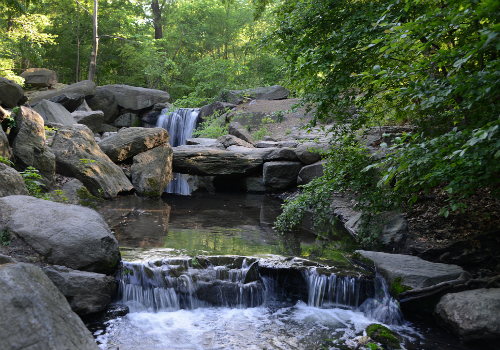 Join Central Park Conservancy Guides for this tour around tumbling waterfalls, rustic bridges, and picturesque pools. Highlights include the Harlem Meer, Huddlestone Arch, the Loch, Glen Span Arch, and the Pool. Terrain: A few inclines, some stairs, and wood-chipped trails. 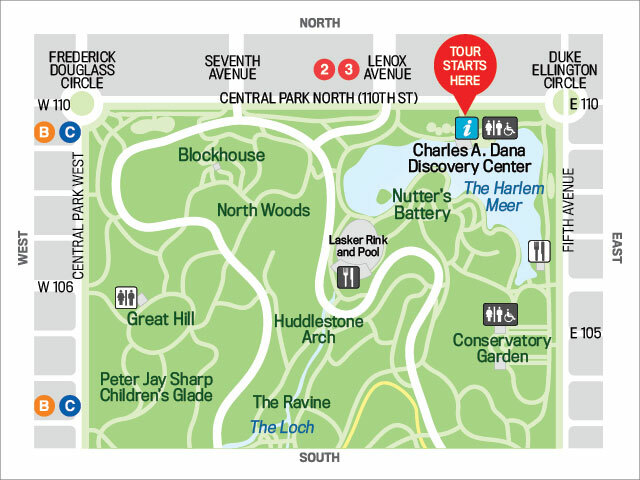 Groups of seven or more must schedule a group tour three weeks in advance at tours@centralparknyc.org. Spanish language group tours are also available.